The Polish and Danish gas transmission system operators: GAZ-SYSTEM and Energinet have both made positive investment decisions and agreed to implement the joint Baltic Pipe project. The final investment decisions were announced in Warsaw on 30th November 2018. The total cost of investment is estimated at EUR 1.6-2.2 bln, and is equally split between investors. The bilateral positive investment decision means that Energinet and GAZ-SYSTEM have committed to construct overall 900 km long offshore and onshore gas pipeline. 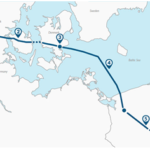 Baltic Pipe will be crossing three national territories - Denmark, Sweden and Poland and gas transmission will start in October 2022. The pipeline will enable the supply of 10 bcm of natural gas from Norway through Denmark to Poland. Thanks to steadily developed North – South Gas corridor, particularly interconnections with Slovakia, Lithuania and Ukraine, gas can be further delivered allowing physical diversification of supply to Central and Eastern Europe thereby increasing resilience and security of region. Baltic Pipe has also reverse transmission capacity from Poland to Denmark and Sweden. 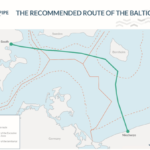 Baltic Pipe has a status of Project of Common Interest. So far financial assistance received by GAZ-SYSTEM in the area of trans-European transport and energy networks for the Baltic Pipe project amounts to €4.31 million. Expansion of the Polish transmission system constituting a further step to make Poland a regional gas hub which will reduce the risk of supply disruptions and boost the national economy. We represent the widely understood Central Europe energy sector (electricity generation, distribution and transmission, renewables, gas, oil, heat generation and distribution, chemical industries, etc. ), universities and scientific institutions.